The Papio NRD and ENWRA (Eastern Nebraska Water Resources Commission) have low-flying helicopter flights taking place in late June and July over Eastern Nebraska to collect and record geologic measurements to learn more about buried aquifers. We want to public to be aware so they will not be alarmed if they see a helicopter mounted with instruments in their area. Below is a news release from ENWRA with more information. Eastern Nebraska residents should not be alarmed if they see a low-flying helicopter over areas of the Papio-Missouri River Natural Resources District (P-MRNRD) in June and July. Aqua Geo Frameworks (AGF), of Mitchell, Nebraska will oversee the flights, process data and produce a final report. The equipment can collect data at a speed of more than 50 miles per hour and explore to a depth of more than 700 feet below the ground surface. The helicopter will fly over parts of Dakota, Thurston, Burt, Washington, Douglas, and northwestern Sarpy Counties within the P-MRNRD. Cameron said the flights will be a continuation of ENWRA flights conducted during summer 2016 and will focus with more detail on several areas within the P-MRNRD. 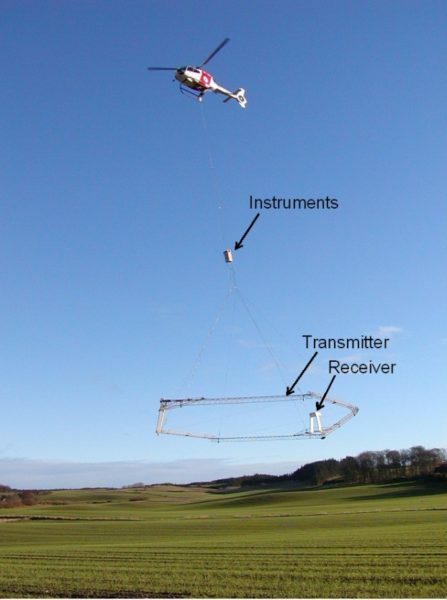 Scientific equipment is towed about 100 feet below the helicopter in a ‘spider web’ array and is designed to map geologic structures beneath the surface of the earth. The helicopter will be manned by experienced pilots specially trained for low-level flying with this equipment. Similar flights have been made across Nebraska since 2007, according to Cameron, as NRDs seek to better understand and manage ground water resources. Three public hearings are scheduled across the Papio-Missouri River Natural Resources District (P-MRNRD) to gather community feedback on the District’s new Groundwater Management Plan. The current P-MRNRD Groundwater Management Plan for the six-county NRD area including Sarpy, Douglas, Washington, and Dakota Counties plus the eastern portions of Burt and Thurston Counties in Nebraska, acknowledged a lack of existing information about groundwater quantity and quality. Since 1994, P-MRNRD has gathered a significant amount of hydrogeologic information on the distribution of groundwater aquifers across the district. Furthermore, with over 30 years of groundwater monitoring data, information on specific areas within the district with water quantity and quality issues have been identified. – Who would be affected? – What are the benefits of the new plan? 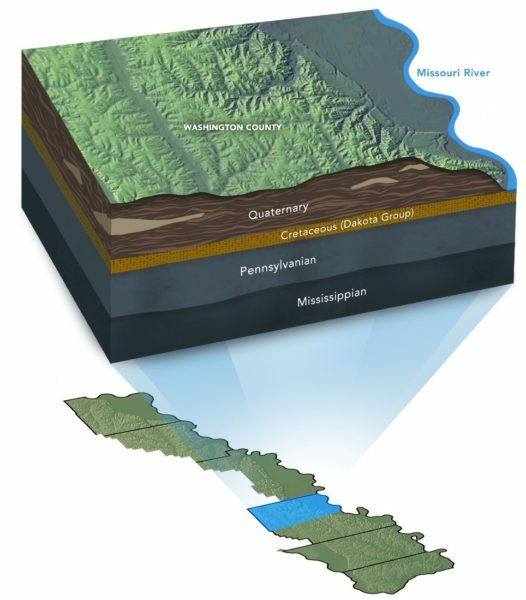 – What portions of the District may be designated as a Groundwater Management Area? More than 750,000 people live in the Papio-Missouri River NRD area and many rely on clean groundwater as their drinking water supply, for irrigation, and various industrial uses. The new Groundwater Management Plan has been prepared with more recent data, as well as input from stakeholders across the District who represented groundwater users in the NRD. The new Groundwater Management Plan is expected to replace the existing plan.